Michael Frost was born in Redding and grew up fishing the Sacramento River and Pacific Ocean. He settled in the Bay Area after graduating from the University of Oregon in 1998. Michael works in sales in the Silicon Valley and lives with his wife and daughter in San Carlos. Michael is an advocate for the taxpayers of California and promotes the use of 21st century technology, such as data analytics and the smart grid, to help solve some of today’s most pressing problems. As a member of the engaged philanthropy group, Full Circle Fund, Michael donates his time and money to non-profit organizations benefiting education, the environment, and global economic opportunity. Fishing has been a lifelong passion for Michael. The California Delta and San Francisco Bay have provided the perfect playground in the Bay Area’s backyard. He has become involved with Restore the Delta after witnessing the rapid decline of the west coast salmon fishery during his short lifetime. The economic value of the Delta’s environment is something that Michael would like to highlight and promote to all Calfornians. This renewable resource is a gift that will keep on giving with proper care. Michael J. Machado was a member of the California State Assembly from 1992 to 2000 and a California State Senator from 2000 to 2008. He is an owner and operator of a diversified farming operation in California’s Central Valley. Mr. Machado is a board member of the California State Compensation Insurance Fund (2008 to present), P & M Farms (1985 to present), and PICO Holdings (2013 to present). 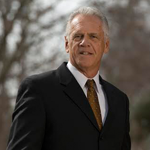 He is also a member of the nonprofit boards for the San Joaquin Historical Society Board of Trustees (2012 to present). He is a member of the National Association of Corporate Directors and is a Board Leadership Fellow. He received an undergraduate degree in Economics from Stanford University and a master’s degree in Agricultural Economics from the University of California, Davis. As a state legislator in California, Mr. Machado was heavily involved in numerous issues including water, agriculture, banking, and insurance. Roger Mammon was born in San Francisco and grew up in the East Bay. He has resided in Oakley since 1983. A former police officer and manager in the automobile finance industry, Mr. Mammon has fished all his life and took up hunting as a young adult. Mr. Mammon loves both sports as they allow him to be outside and on the water. He is serving in his third two year term as President of the Lower Sherman Island Duck Hunters Association — a group of local sportsmen and women who enjoy hunting in State Wildlife Management Areas. He is also a Board Member of the West Delta Chapter of the California Striped Bass Association, and is a member of the Committee to Save Our Shoreline in Oakley. The City of Oakley has appointed him their unofficial liaison on Delta matters. He has seen a number of changes in the Delta over the past two and a half decades that are disturbing, and he looks forward to helping restore the Delta. See bio below (under Staff). Fighting to protect fisheries and water quality for over 25 years, Bill is the Executive Director and Chairman of the California Sportfishing Protection Alliance and a Board Member of the California Water Impact Network. Between 1995 and 2005 he served as Deltakeeper. He was a founder and Chairman of the Committee to Save the Mokelumne. Bill has received numerous acknowledgments including the International Conservation Award from the Federation of Fly Fishers, the Director’s Achievement Award from the Department of Fish and Game, the Conservation Achievement Award from the California-Nevada Chapter of the American Fisheries Society, the Quality of Life Award from the Land Utilization Alliance and the Delta Advocate Award from Restore the Delta. The Outdoor Writers Association of California recognized him as Outdoor Californian of the Year and the Delta Fly Fishers selected him as Fly Fisherman of the Year. His efforts in obtaining an historic cleanup of Penn Mine on the Banks of the Mokelumne River led to awards to both the California Sportfishing Protection Alliance and Committee to Save the Mokelumne by the California Water Policy IX Conference. Director of Public Relations, A.G. Spanos Companies. Larry Ruhstaller is a former San Joaquin County Supervisor and previous Council member of the Delta Stewardship Council (Council). He has more than 15 years of experience as a local elected official working with state and federal agencies on Delta, flood protection, and water resources issues – and as chair of the San Joaquin Flood Control Agency. Ruhstaller is a graduate of the University of California at Berkeley where he earned his Bachelors of Arts in US History with emphasis in US city planning. He was a Lieutenant JG in the U.S. Navy and a two-term Councilman for the City of Stockton from 1997-2004. His community involvement includes service as Chairman of the Stockton Asparagus Festival, President of the Board of Directors of the Stockton Visitors and Convention Bureau, and is a member of numerous clubs and associations. Mike Robinson is president of Robinson Farms Feed Co., and diversified farming and feed manufacturing business in the south Delta. The farm has been in the family for over 120 years raising alfalfa, wheat, safflower, oat hay and triticale. The feed manufacturing business makes alfalfa meal products, principally for the pleasure horse industry. Mike has been active in farming industry organizations, and active in water issues since the last ‘peripheral canal’ attempted water grab in 1982. A graduate of Cal Poly, San Luis Obispo, and member of the RD17 governing board of directors. 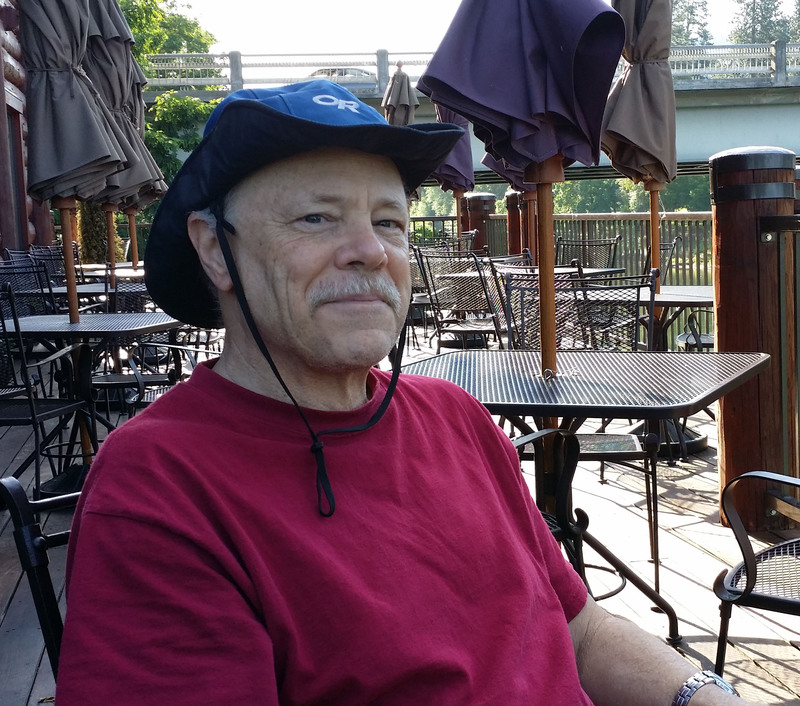 Bob is an AV Martindale-Hubbell rated lawyer and Senior Counsel for Friends of the River. His legal career in Fresno and Sacramento started in 1972 and has ranged from being a law firm partner in private practice including representation of groups seeking enforcement of environmental laws to public practice prosecuting environmental and white collar crime. He was Adjunct Professor of Environmental Law at San Joaquin College of Law in Fresno from 1990 to 2003. When Friends of the River challenged the Army Corps of Engineers’ rule prohibiting any vegetation other than grass on all of the nation’s levees and the Corps moved to dismiss, Bob won the decision denying that motion. Other victories include the decision in the national class action that school buildings are damaged by the mere presence of asbestos; and the decision finding that the nationwide U.S. Forest Service anti-wilderness land management planning known as RARE II (roadless area review and evaluation) violated the National Environmental Policy Act. Bob also led the inter-disciplinary planning team that developed the Regional Plan adopted by the California Tahoe Regional Planning Agency in 1975. Bob obtained a B.S. in Business Administration from the University of California, Berkeley in 1966, and after serving as a Captain in the U.S. Army, obtained a J.D. from Harvard Law School in 1971. He has been a member of the California Bar since 1972. Bob began representing Friends of the River in 2011. Stockton attorney Thomas Keeling, a principal in the FREEMAN FIRM, focuses his practice primarily on complex litigation, appellate advocacy and eminent domain. He earned his J.D. at Stanford Law School in 1984 and was admitted to practice the same year. Before beginning his legal career with a national law firm in Southern California, he clerked on the California Supreme Court. Tom and his family moved to Northern California in 1994. Tom was the 2008 President of the San Joaquin County Bar Association and has served on the governing bodies of the Bar Association and the Consuelo M. Callahan American Inn of Court. He is a frequent lecturer and panelist at continuing legal education programs and, since 2009, has also served as an Adjunct Professor at the Humphreys College Laurence Drivon School of Law. Tom represents Delta landowners in resisting DWR’s efforts to proceed with on-site investigations to support the BDCP. The landowners’ victory over DWR in Property Reserve, Inc., et al. v. Superior Court (2014) 224 Cal.App.4th 828 is currently before the California Supreme Court. The matter is fully briefed, and Tom expects a ruling in 2016. He also represents Delta interests in litigation against the Delta Stewardship Council. Prior to entering law, Tom earned his B.A. in English from the University of California, Santa Barbara (1972) and his M.A. and Ph.D. from UCLA (1977). Between 1977 and 1981, he taught literature and literary criticism at the university level. Barbara Barrigan-Parrilla is Executive Director and a co-founder of Restore the Delta. Over the last ten years, Ms. Barrigan-Parrilla has worked with staff, board members, and local advisors to grow the campaign from 70 to 40,000 supporters who seek to restore the Delta for their children and future generations. Ms. Barrigan-Parrilla has worked to give Delta residents a voice in myriad government processes to oppose the Delta tunnels proposal, and to oppose the continuous extreme water exports from the Delta which have had severe negative consequences on the health of the Bay-Delta estuary. Her work has centered on helping Californians achieve an accurate understanding of the science and economics that underpin a healthy Delta for fisheries, wildlife, and people. Ms. Barrigan-Parrilla maintains that the health of the Delta is tied directly to the environmental and economic health of California. Prior to joining the campaign, Ms. Barrigan-Parrilla served as the Business Development Manager for the Planning and Conservation League in Sacramento. Ms. Barrigan-Parrilla has also taught English in the California community college system, served as a field representative for the Oakland local of the California Federation of Teachers, and served as Executive Director for Manifest Press and Literary Arts Center also in Oakland. Ms. Barrigan-Parrilla holds a B.A. in English from University of California, Berkeley, and a Masters in Fine Arts, from Mills College, Oakland. Contact Barbara. Born in Pasadena, California, Tim Stroshane is an urban planner with 30 years’ experience in environmental planning, housing economics and policy, and California water policy and law serving grassroots environmental water groups as a research consultant, expert witness before California’s State Water Resources Control Board, and reviewer of environmental impact reports of water projects throughout California. He is the author of the 2016 book, Drought, Water Law, and the Origins of California’s Central Valley Project (University of Nevada Press), and is at work on two more books about water projects and the Delta. Mr. Stroshane earned his bachelor’s in environmental studies at the University of California at Santa Cruz, and a master’s in city planning from the University of California at Berkeley. He served 15 years with the city of Berkeley as a housing planner; founded, edited, and wrote his independent newsletter SPILLWAY (online at www.spillwaynews.net), and guest-lectured on California water issues to college students. He lives with his wife and cats. Mariah is our Campaign Coordinator. Contact Mariah. Midori is our Office Administrator. Contact Midori.